Working with Wright and Morrisey Construction to develop the landscape at a new Key Bank Location in Burlington. 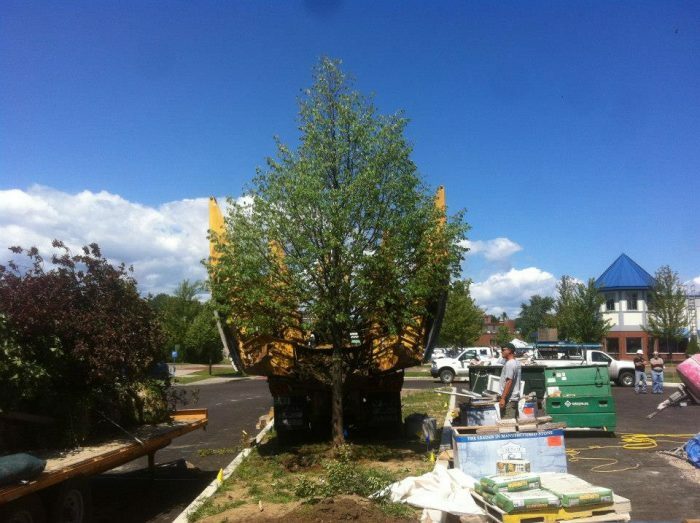 We came in the early spring before construction started to dig 6 very beautiful and mature Linden trees that were planted around what was a gas station. We created a makeshift nursery behing the adjacent cinema and temporarily planted them. 6 months later all are looking vibrant, healthy and like they have been in there new locations forever. 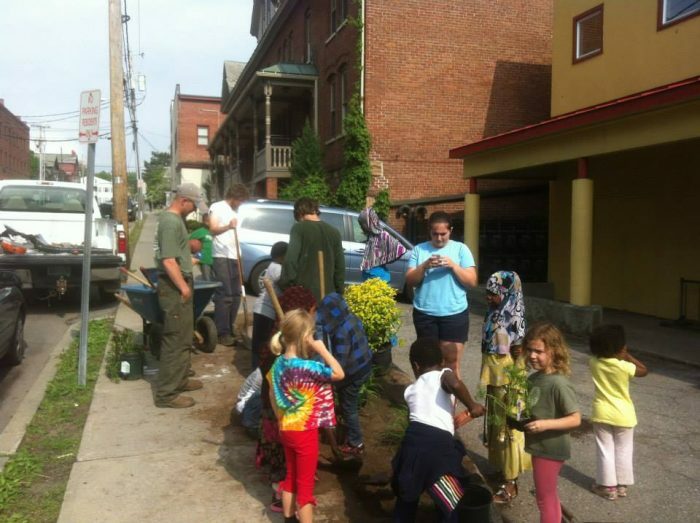 In addition to the Lindens, we planted several hundred shrubs and over a thousand perennials and ground covers over the course of two days.